One great afternoon of light. Occasionally mother nature puts on a show made just for photographers, Late December 2015 we had one of these special afternoon’s. In the space of a few hours I managed to capture this series of great scenes. 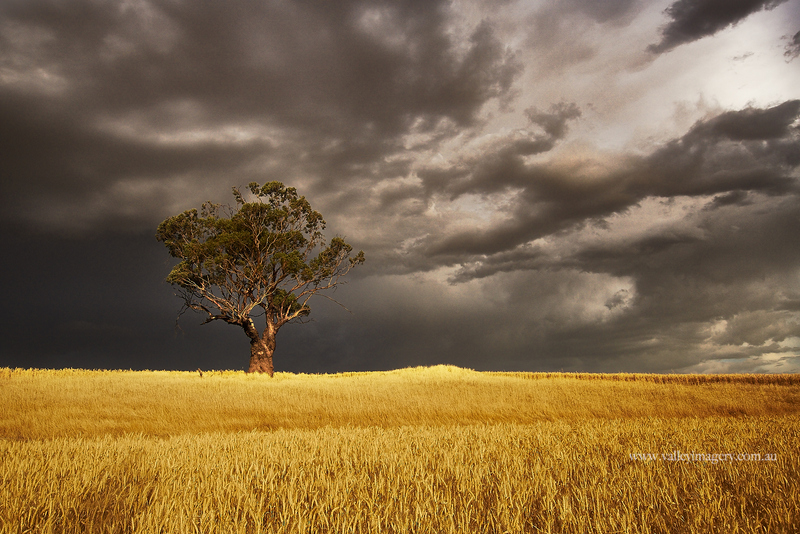 There was an intense but brief storm pass through the Barossa Valley late in the afternoon, the rain cleared the haze from the air and the late afternoon sun put on a real show. The first two images taken were of the same tree, shot from different angles and processed in different ways. 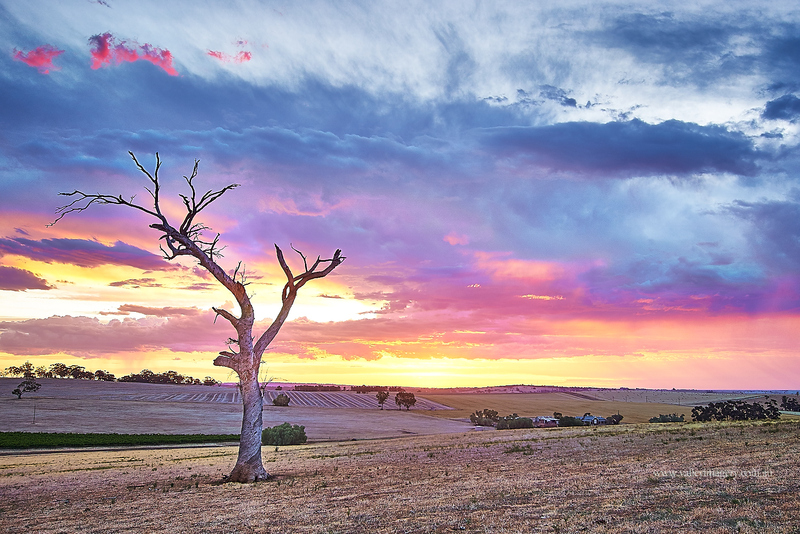 The third is a wide panorama of the Barossa Ranges with a rainbow and the last few were taken during a spectacular sunset. 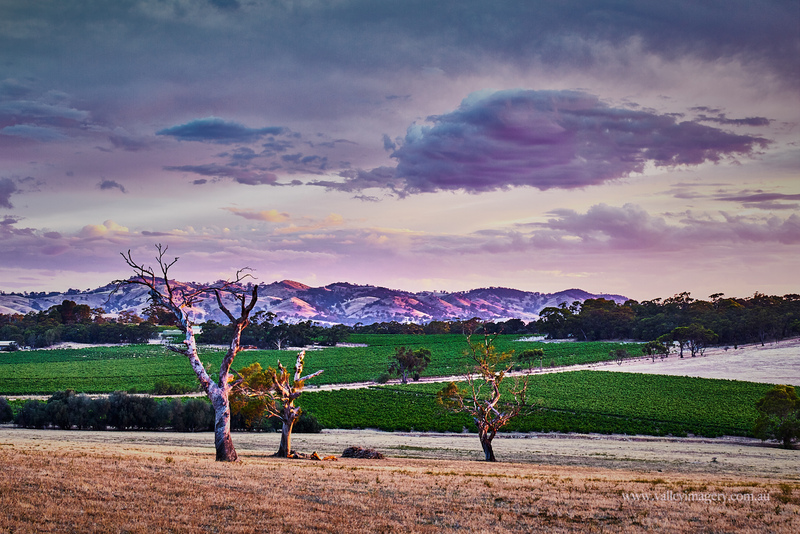 All these were taken about 15 min from home and showcase the amazing scenery in the backroads of the Barossa Valley. For those so inclined these scenes are from around the dirt roads between 1847 wines and the Barossa Novatel. 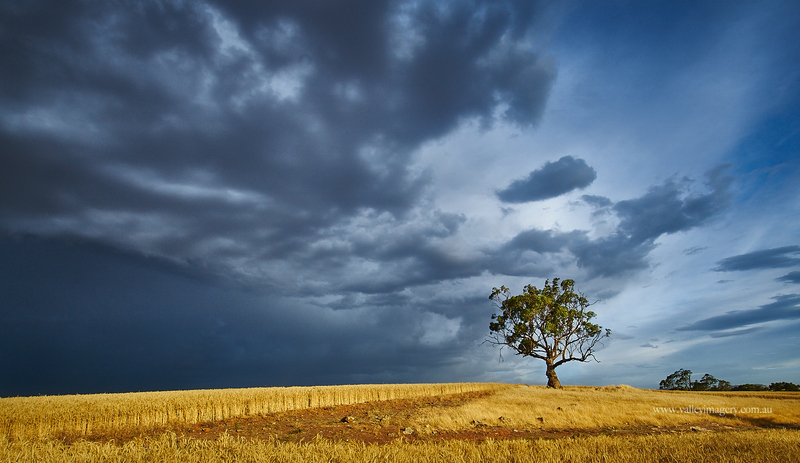 Scenery such as this, during the right light is what landscape photographers look for. The colour and contrast are increased and the constantly changing light is a real challenge. I really hope you like these images and it inspires you to look for conditions such as these.